MarketsMuse Exclusive: The Trump-Russia-Estonia Government Bond connection, first disclosed three weeks ago by a MarketsMuse investigative report that linked US Treasury Secretary Mnuchin to a cache of rare, $1000 USD denominated 1927 Estonian Govt bond certificates, has a new layer of intrigue. According to Trump White House sources, last week Estonian Finance Minister Sven Sester visited the White House and held a one hour private meeting with Trump’s Secretary of Treasury Steven Mnuchin and Gary Cohn, Trump’s chief economic advisor. The meeting reportedly took place days after April 14, when President Trump ordered White House visitor logs be kept secret from public disclosure for the first time since Richard Nixon held that office. In view of the current President’s gag order on disclosing names of lobbyists, foreign government agents and all other visitors to the White House, the loose-lipped White House whistle blower’s view of Estonia’s Sester and Trump team members meeting could not be independently confirmed. The topics discussed in this week’s rumored meeting were equally secret. As first disclosed three weeks ago, a rare collection of US dollar denominated bonds ($1000 face value) issued by the Government of Estonia in 1927 has purportedly wound up in the personal hands of Mnuchin. 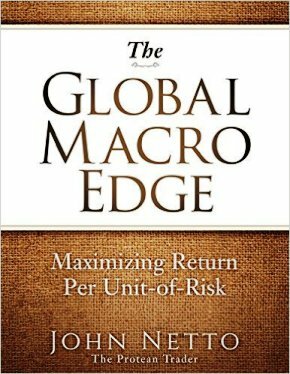 The bonds represent a portion of a $3.8 million sovereign debt offering that went into default after Russia annexed Estonia in 1940, thirteen years into the term of the issuance’s 40-year maturity, whereby each bond obligation came with a 7% per year interest payment promise. !n 1991, when Boris Yeltsin was Russia’s leader, Estonia secured its independence from Russia and a new Government of Estonia was formed. 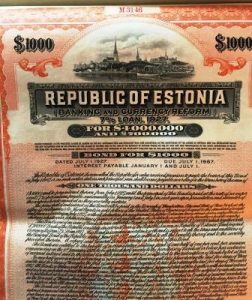 If the 1927 Estonian Govt Bond Certificates are somehow deemed to be legitimate debt obligations today, and whether Russian President Vladimir Putin will offer to pay a repatriation payment tp Estonia on behalf the Russian government, each USD $1000 certificate would now be worth more than $130,000, presuming the interest payment coupons from 1940-1967 remain affixed to the physical certificate. International experts who specialize in defaulted government debt peg the value of the Estonia bonds to be of a historical nature only, as evidenced by a listing of a small collection of certificates, which are being offered by the estate of a Wall Street investor who apparently purchased the bonds at a steep discount soon after Russia annexed Estonia in the late spring of 1940. Aside from Mnuchin’s purported stash, the remaining certificates are thought to be the last known certificates of the three thousand $1000 face certs issued in 1927. A portion of that 1927 debt offering included eight hundred $500 face value certificates; the last know four certificates were sold on eBay for $279 each.